The Sims 4 has crossed the $1 billion lifetime revenue threshold. 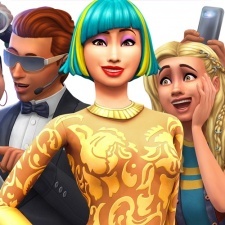 That data comes as part of EA’s Q3 financial report, which continues to suggest that The Sims 4 is still making gains well into its fifth year after launch. In 2018, the lifestyle title gained almost five million new players. Those figures include copies of The Sims 4 sold across PC and console, but not mobile, which EA considers a separate entry. The publisher has no plans to stop here, either, with plenty of content and support planned going forwards. The Sims has remained an enduringly popular franchise. Last October, EA revealed that expansion packs alone for The Sims 4 had been downloaded over 30 million times. It's also a solid indication that there is still a sizeable casual audience playing on PC and console, with the common perception being that these consumers had largely moved to mobile or browser games in the last decade.